DAILY ROUTINE: In front of me are Forever products such as MPD multi-purpose cleaner, Gentleman’s pride aftershave, bee pollen supplements and deodorant stick which I use every day. The gel is not in this image. FULL HOUSE: Vitka Croake and Lenka Daisy, Forever Living independent distributors, are in front of a large range of aloe-based products at an open day event at New Milton Community Hall in January. FIGHTING INFECTION: The aloe vera plant contains six antiseptic agents that help to combat external and internal infections. WILL this century confirm aloe vera as the greatest medicine mankind has ever known? This is the claim made by Dr Lee Ritter, a doctor of naturopathy, on the plant that is reputed to have 200 ingredients that help thousands of biomedical actions in the body. 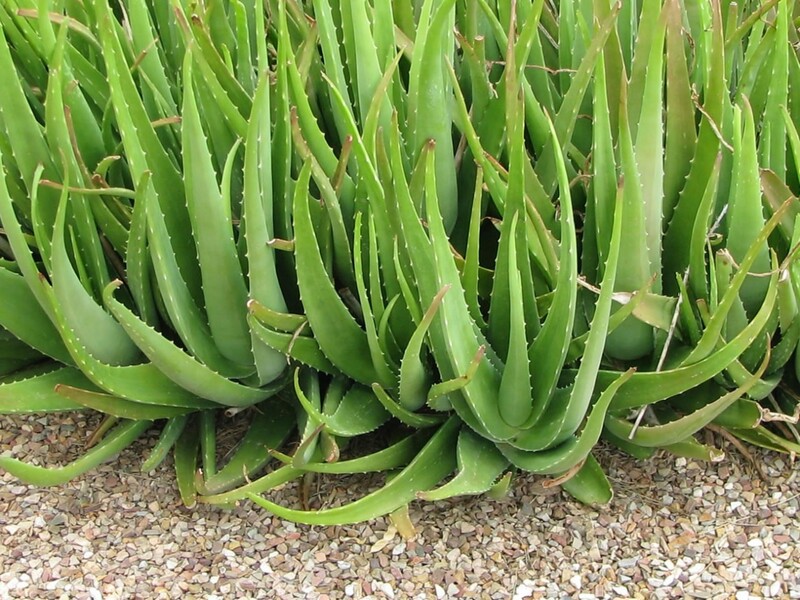 The aloe vera plant contains six antiseptic agents – lupeol, salicylic acid, urea nitrogen; cinnamic acid , phenol and sulfur – and they also assist in the elimination of internal and external infections. Lupeol, salicylic acid with the added agent of magnesium are analgesics which explains, says the scientist, why the plant is a natural pain killer. Three anti-inflammatory amino-acids (cholesterol, campesterol, and B-sisdosterol) are constituents within the plant that help with burns, cuts, scrapes and abrasions as well as rheumatoid arthritis, rheumatic fever and ulcers of all kinds. I have been taking a number of aloe products (with its main constituent being stabilised aloe gel) since being introduced to them in October by independent retail distributors Vitka Croake and Lenka Daisy. Since then I have been taking the gel daily (only missing a couple of days) and have seen my energy levels increase; my attention span improve; my immune system has strengthened my ability to fight infections and my digestive system has functioned much more smoothly. Whilst it is imperative anyone who tries these products consults with their doctor if they are on any kind of medication – but if you haven’t you will find that visits to the doctor become less frequent, as this is certainly my experience. Anyone working in a cold warehouse may experience the sensation of chapped skin and the difficulty in gripping work surfaces, tape guns or operating machinery, but taking aloe gelly has given me immediate relief from what I found to be annoying symptoms. If you are a guy and reading this, you really need to take care of your health, whether you are in a relationship or not. If you are in the former, it is important to consider this, particularly if you are a father. 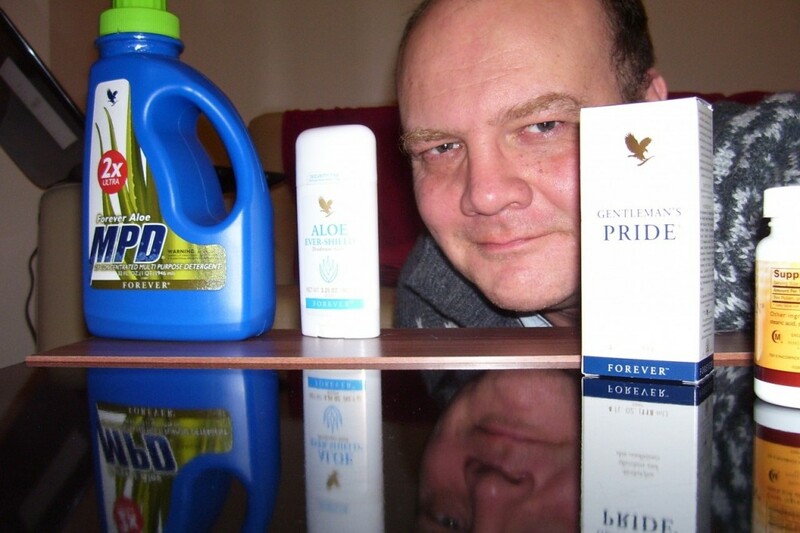 Taking the gel daily along with multi-purpose detergent cleaner; aloe gelly; heat lotion; Aloe forever deodorant stick; bee pollen and Gentleman’s pride after shave, has helped me lose weight too. I would only add to this is to have a balanced diet can only add a help to see the benefits of this plant transforming your health and outlook on life. A former rural leader once said to me “you are what you eat”. Our food producers are currently facing a major battle for survival because of price wars that are devaluing everything they produce – whether it is dairy, meat, fish, vegetables and fruit and their futures are at risk, as is the maintenance of the countryside and the tourism that is possible in it. We can’t avoid supermarkets here in Dorset and Somerset but try to ask where food is from when you go there or to buy fresh produce direct from farm shops and delicatessens as the supply chain will be more transparent, as much more of the supermarket aisles will have processed items. For more information on cosmetics and beauty products, click here and any other products mentioned in this article click on this link.